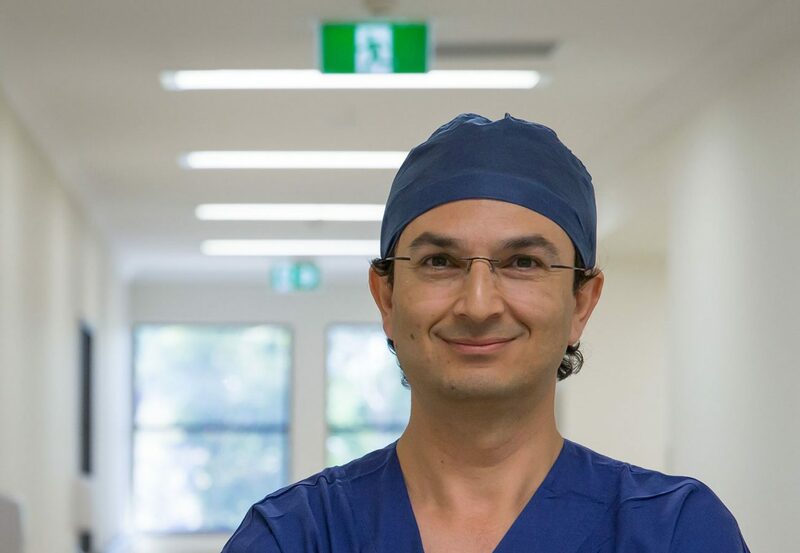 Associate Professor Munjed Al Muderis fled Saddam Hussein’s Iraq after refusing to cut off the ears of army deserters. Today he is one of Australia’s – and the world’s – pioneering orthopaedic surgeons. Story as told to Annika Flensburg. I was 27 years old in 1999, living very happily in Baghdad. I was a young doctor at Baghdad University Hospital and everything was fine. But then one day, when I was doing my usual rotation as a surgical resident, things changed. I was confronted with three busloads of army deserters escorted by republican guards and Baath [political] party members. They ordered us to mutilate the soldiers by cutting their ears off. The head of the department refused and they put a bullet in his head in front of everybody. It was the most challenging point in my life. I didn’t want to leave Iraq, but I had to make a decision: obey the orders and live with guilt for the rest of my life, violating every principle I was brought up on; or refuse and end up with a bullet in my head like my boss. I didn’t follow the orders – instead I hid for hours until most of the soldiers had left. I never went home that day – after defying orders it was too dangerous. I left the hospital in a taxi; the only option now was to leave Iraq. That was the most important phone call in my life. I am forever grateful to this person; I’ve never met him again – I don’t even know his name. There is a lot of goodness inside everyone in Australia. But there is also another side. When I came to mainland Australia I was put into Curtin Detention Centre (in the Kimberley, Western Australia). I was stripped of my human identity and marked with the number 982 on my arm. That was my name for the rest of my time there. The excuse was that there are a lot of ‘Mohammeds’ and a lot of ‘Alis’. My response to that is there are a lot of ‘Johns’ and a lot of ‘Smiths’ and that is not an excuse to dehumanise a person and call them by a number. I was singled out as a troublemaker. 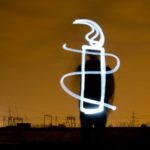 I was very outspoken and documented what happened inside the detention centre. I witnessed people being beaten, spat at, harassed – treated like animals. The stories I am telling happened to me and they happen to many people, again and again. But they come across as fictional because nobody would imagine that such atrocities can happen in a country like Australia. I was brought up to be strong and to look at the glass half full. Life is too short to hold grudges and feel sorry for yourself. The minute I walked out the doors of the detention centre, released into the street, alone, I took a bus from Derby to Brisbane, Brisbane to Perth, Perth to Adelaide, Adelaide to Melbourne and Melbourne to Sydney. Throughout the journey, whichever city I passed through I went and knocked on doors looking for a job. My first job in Australia was toilet cleaning and it is an honourable job. I was brought up to understand and believe that work is an honour, a view shared by many people. In the end I arrived in Sydney and I was absolutely disorganised. I did not have any help, I had to fend for myself. To become a doctor in Australia I had to go through the formal registration process to get recognised as a medical practitioner. My first job as a doctor was in Mildura, Victoria. I have a lot of friends from the detention centre who are also doctors and a lot of them are now rural doctors, serving their communities. But I came from a war-torn region where people regularly lost limbs. For some people this is worse than dying, because it fundamentally changes their lives; there is a fear of being dependent on others, not being able to work and provide for yourself. So today I am a pioneering orthopaedic surgeon, helping people who have lost their legs to walk again. When Prince Harry visited Australia he asked to meet me because I operated on one of his best friends who had surgery to both legs after serving in Afghanistan. He came to the hospital I work at and visited patients with me. It was a great recognition. Australia opens its arms to people because the majority of Australians are good people. Programs like community sponsorship, where individuals and communities can contribute towards a refugee’s placement in a new country, are brilliant. I would be more than happy to sponsor a refugee if the government allows it. Canada already has a very good sponsorship program for refugees. It has had great success because the community embraces these people. Unfortunately what the Australian Government is doing now for refugees is not the right thing. Right now, the government places refugees in congested, low socio-economic areas in Sydney and Melbourne, and that is not a solution. Instead we should place people where they can prosper, integrate into the community and have a positive impact. Armidale and Shepparton have thrived in using this system. If Australia copied Canada’s program it would help get people away from the terrifying conditions they are living in. Refugees here should be seen as a benefit too, like they are in Canada.